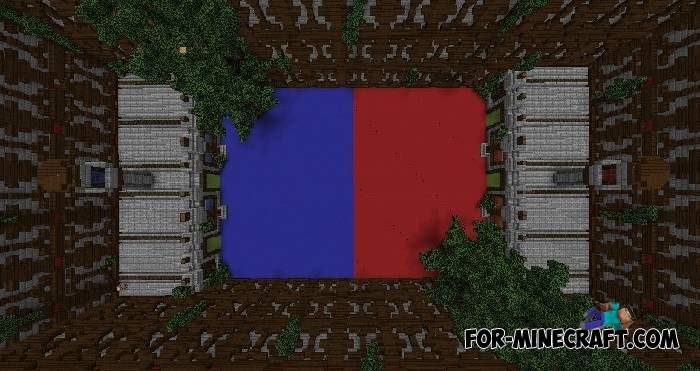 There is a red and a blue side, both are symmetrical to each other. This is an endless feud of two colors that has turned into a bloody battle and now you as one of the soldiers must destroy the players of the opposing team to defeat and capture the entire field. 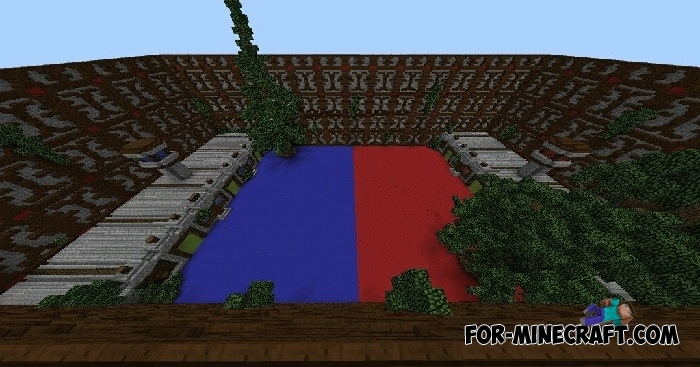 In fact, the Turf Wars mode has long been used on Minecraft Bedrock servers and now you have the opportunity to play it on your server. Download the map and invite three more players to get an exciting and very active game. The task is simple: kill the players from the enemy team to take control of the entire battlefield. Build fortifications for defending or choose offensive tactics for a lightning victory.